Once again, Fr. 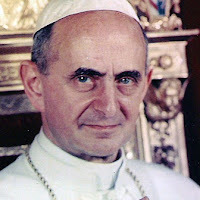 Pio Pace, an expert in Romanitas, gives us his opinion on a present topic: now, the astonishing canonization of Paul VI. 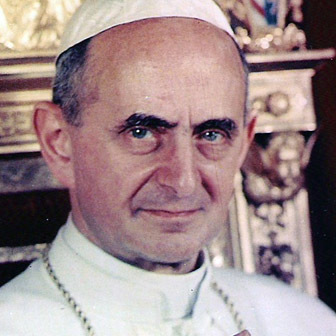 Paul VI: a "Pastoral" canonization? Perhaps Paul VI had remarkable and heroic virtues in his private and secret life. 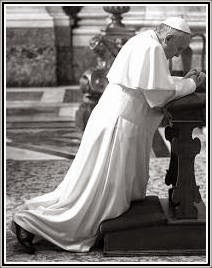 But, as Pope, he is the object of not little debate: he promulgated the most liberal texts of the Council (Gaudium et Spes, Unitatis Redintegratio, Nostra Aetate, Dignitatis Humanae); he led a liturgical reform that turned sacred liturgy upside down and inside out; and several other things, big and small, such as the suppression of the extremely ancient and venerable Roman Subdiaconate. Is Paul VI presented to the Church as an example due to the publication of Humanae Vitae? Or rather for his "ecumenical gestures", such as having given in 1966 to the archbishop of Canterbury, Michael Ramsey, his pastoral ring and a chalice -- which allowed Cardinal Coccopalmerio to affirm that the Anglican ordinations could be considered valid: "What could it mean for Paul VI the fact of giving a chalice to the archbishop of Canterbury? If it was to allow for the celebration of the Lord's Supper, the Eucharist, it was out of consideration for valid ceremonies, right?" And we could go on: John Paul II was an example for the solid defense of Humanae Vitae, or rather for having organized the sadly famous "Assisi meeting"? 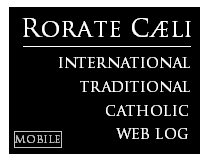 We must dare say it: by canonizing all Vatican II popes, it is Vatican II that is canonized. But, likewise, canonization itself is devalued when it becomes a sort of medal thrown on top of a casket. Maybe a council that was "pastoral" and not dogmatic is deserving of canonizations that are "pastoral" and not dogmatic.